GRAND RAPIDS, MI (8/11/10) --Vincent Audio has introduced a high-performance HDCD CD Player that offers the optimal union of precision CD processing with high-end vacuum tubes to bring the music to life. The Vincent CD-S8 plays both High Definition Compatible Digital (HDCD) encoded discs and conventional CDs. It has a premium CD transport, state-of-the-art digital processing, and a fully-isolated vacuum tube analog output stage with the option of professional-grade XLR balanced analog connections. 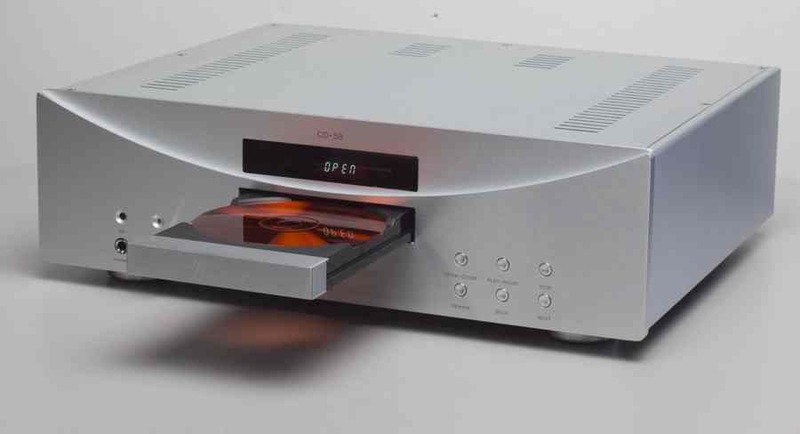 The heart of the digital section is a Philips VAM1250 CD transport known for its excellent optical reading performance, low playback noise, and long life expectancy. The 24-bit digital-to-analog converter (DAC) is Texas Instrument's esteemed PM1792 with a 192 kHz sampling rate. Its advanced segment DAC architecture achieves excellent dynamic performance and improved tolerance to clock jitter. The analog output stage of the CD-S8 is a full vacuum tube section rather than a hybrid design. In keeping with Vincent's tradition of using top-rated component parts, it uses a Chinese 12AX7 and two Russian 6922 dual triode tubes, as well as premium WIMA and Solen capacitors to provide smooth, rich audio. This circuitry is housed in a physically separated section of the chassis and shielded from both the digital and high-voltage power supply circuits. This no-compromise approach keeps noise out of the signal chain and helps maintain signal purity. The vacuum tube stage output is via rear-panel XLR and RCA output jacks for connection to a high-end two-channel preamplifier and amplifier. The player has a dedicated headphone stage with a separate volume control. There are also optical and coaxial digital outputs that allow the CD-S8 to also be used as a source for a AV processor- or receiver-based system. Two 12-VDC trigger inputs aid system integration, and the player can be operated using the front-panel controls or the included aluminum remote control. The Vincent CD-S8 HDCD Player is now available in silver or black finish, with a suggested retail price of $3,295. Vincent Audio manufactures high-end audio components that use vacuum tube and hybrid tube/solid-state technology to produce sound that is powerful, accurate, and texturally satisfying. The brand's exclusive North American distributor is WS Distributing, LLC, of Grand Rapids, Michigan. For more information about Vincent Audio, visit WS Distributing's web site at http://www.wsdistributing.com/.